After arriving home from a recent trip to India, my husband said he’d like to cook Valentine’s Day dinner for me. Sweet, I thought, excited that he’d be chef de cuisine for a night. He had traveled to India to help his mom move from Bangalore to Goa, so I assumed my surprise meal would be a delicious Goan curry. 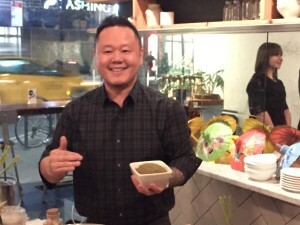 Coincidentally, I’d attended an event last week at Kiin Thai Eatery (NYC) to celebrate Thai cuisine and the launch of Try The World’s Thailand box, curated by Food Network Host & Chef Jet Tila. Long ago, Thai cooks took inspiration from Indian curry to create a distinct variation with fresh herbs. 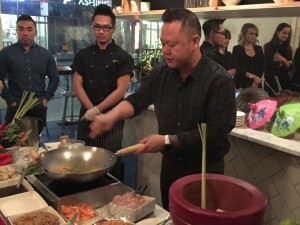 Chef Jet Tila, the son of the first U.S. Thai grocery store owners, learned how to cook from his grandmother. He demonstrated how to make Thai green curry, and made it look so easy I thought I might actually have a chance of pulling it off at home. Little did I know, my husband had just learned how to make Thai green curry from his mother, who had learned from an elderly Thai woman living in Bangalore. 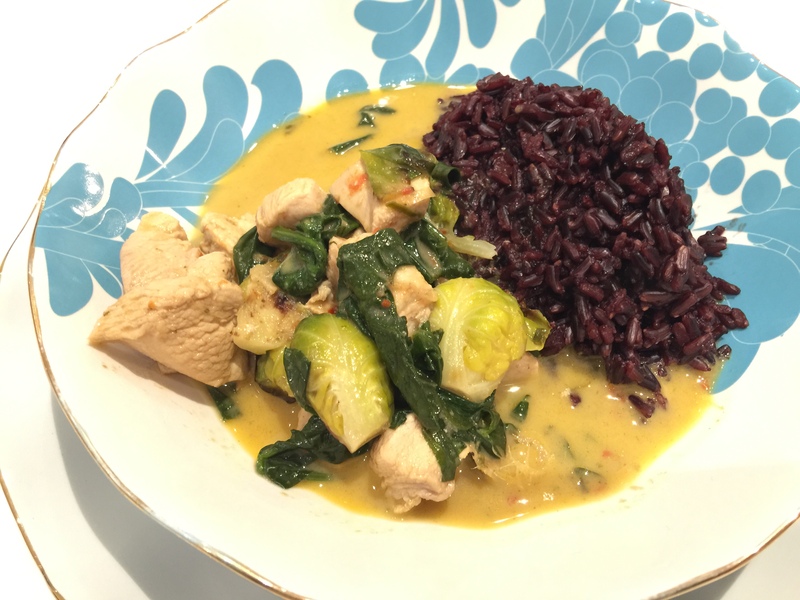 Thanks to Try The World’s Thai box, he didn’t need to source authentic Thai green curry paste, and the organic jasberry rice—a new strain of rice packed with antioxidants and fiber—was a special treat. For a healthy alternative, he added Brussels sprouts and spinach instead of potatoes. At our house, this is sure to become a go-to dish—and I’m happy to be sous chef! You can make Chef Jet’s Green Curry Recipe at home using Try The World’s Thai box ingredients.